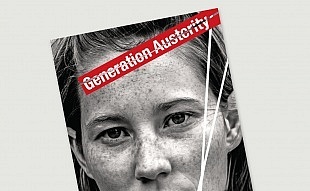 MRM’s fourth annual Young Money Report, “Generation Austerity: Brexit and beyond”, looks at the attitudes to finance of 1,000 18-25 year olds who have grown up in the dark shadow of austerity. The study considers the views of young people on a range of topics including pensions and benefits, advice and access, saving and spending and investing and the economy, as well as featuring contributions from key industry experts across the financial services industry. Much of the writing and research of this report took place in the wake of the UK’s momentous decision to leave the EU. Many hadn’t expected this, including the markets, with sterling crashing on the news and the stock markets plummeting. There was an unprecedented period of national soul-searching in the days that followed and it was to young people that a lot of attention turned. The first stats which emerged showed that they had gone against the status quo, with 71% of 18-24 year olds voting to remain. However, the turnout stats told a different story. Research by Sky Data indicated that of 18-24 year olds, only 36% had actually bothered to vote. So a familiar story emerged of young people watering down their bargaining power in important matters by not exercising their constitutional rights. We saw a similar narrative around a lack of engagement creeping into the results of our survey. What is clear from our findings is that trust in financial services is low, and apathy high. Many young people are unwilling to engage fully in key areas of financial services including pensions, saving and investing – all of which are vital to the financial wellbeing of the population. In this report, we explore some of the reasons behind this, and together with the contributors, examine how we can encourage Generation A to interact more effectively with financial services, particularly as we consider the Brexit fall-out. This debate is certain to run on and we hope to raise as many questions as we answer. 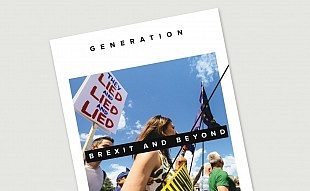 Our 2013 report on the hopes and fears of a generation that has known almost nothing in their working lives but recession and economic gloom.